The obvious perk of organizing your older adult’s medical records is that their medical history will be accessible, and you will know important details about their health conditions, treatments, medications, health care providers. Therefore, you can make better decisions about their care. Another benefit, you can make sure the files are complete, with no major gaps in sequencing, and that they are accurate. Who can request medical records? Well, it’s no shock that HIPAA regulations are in place to keep health information private. Under these regulations, the patient has the right to request their own medical records. As a caregiver, you will need written permission, hold the medical power of attorney, or be named legal guardian to have the right to request those medical records. 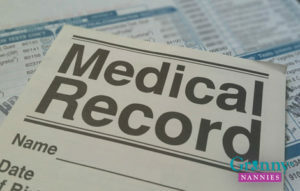 Next big question for caregivers is: Which medical records are available? Most health care providers—doctors, hospitals, and labs— are legally on the hook to keep medical records for six years. Within these records should be: Notes or records that the health care provider created themselves; Diagnostic results such as blood tests, X-rays, mammograms, genetic tests, biopsies; Information provided by another doctor that was used for diagnosis or treatment. Final question for caregivers is: How do you physically acquire the records? Snail mail? Email? First, you’ve got to submit a request in writing, which usually means you fill out a form that you can email, fax, or mail in. The turnaround time varies, depending on the organization and the laws in the state where the health care provider is. Rule of thumb is 30 to 60 days, so plan accordingly. It’s smart to keep a copy of your original request, just in case you have any bumps in the process. You’ll need it when filing a complaint with the U.S. Department of Health and Human Services or with the state medical board. The good news is, once given proper access, you can even download records electronically, which speeds things up and feels more appropriate for this digital age we live in.